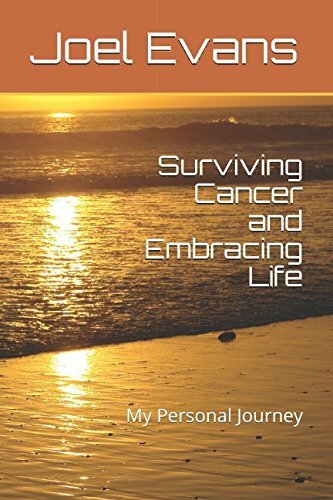 I feel a strong need to give back, so I have written: Surviving Cancer and Embracing Life: My Personal Journey. My goal is to help others and their families better cope with their illnesses. I offer a message of hope. This is my mission in life. I need your help. Please. I have a published a Kindle E-book version of this book. It is available at Amazon for $0.99. Could you please buy a copy and let others who could benefit know about the book. ALSO, could you please leave a review at Amazon. That is the only way that I can get the word out to attract more readers. Click here to go directly to the book or click the cover below. In addition, there is a paperback version for $4.29, with free shipping for Amazon Prime members. Click here or the book cover below. 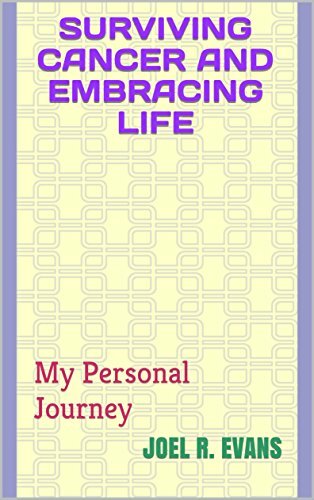 And there is a FREE PDF file at my new blog: https://survivingcancerembracinglife.com/book/. Thank you so much. I really want to inspire others not to lose hope. I am writing this book to foster hope among those with any major illnesses and their families. Despite the subject matter at hand, I want to try to be uplifting – and even inspiring. Yes, I am a pancreatic cancer survivor. I underwent an 8-½ hour Whipple surgery to remove the cancer. I had a lot of problems during chemo. As a diabetic, I passed out from low blood sugar a few days after finishing chemo. As a result, I had to miss my daughter’s bridal shower. And I had to have cement pumped into my back. I have a lot of other stuff going on. But enough of that. I am NOT complaining. I just want you to see where I have been – and where I still am going. No matter what, look for that light at the end of the tunnel. I wish you the very best. Click here or on the hat to access my new blog. This entry was posted in Part 7: Communicating with the Customer, Social Media and Retailing and tagged health, hope, living with cancer, personal journey, surviving cancer. Bookmark the permalink.